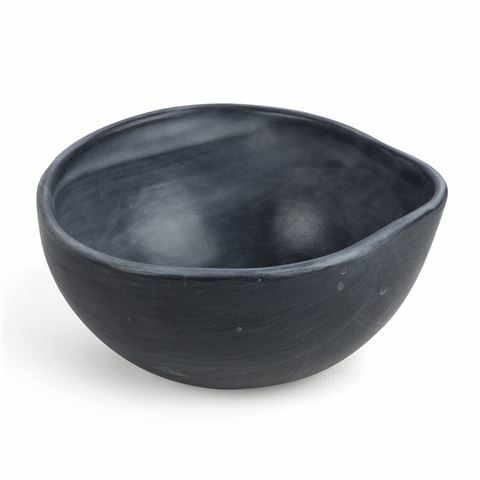 Whether you’re preparing a dish or serving up some dip, Batch’s Pouring Bowl does it all in style. Handcrafted from clay, this miniature piece piece boasts an organic form and a sleek glaze, and because of the handmade nature, no two Pouring Bowls are alike. Available in a range of colours, mix and match with other piece in Batch’s diverse collection of tableware to dazzle your guests at your next dinner party. Can be used for serving dips, sauces and more. Dimensions: Approx. 14cm (l) x 6.5cm (h) x 12.5cm (w).